This versatile tool is used to reach into tight areas with complete safety where fingers cannot reach. This cotter key extractor can reach areas where strength and a good grip is needed. Sturdy, screwdriver-type handle gives you leverage and support. Also makes a great shim extractor. 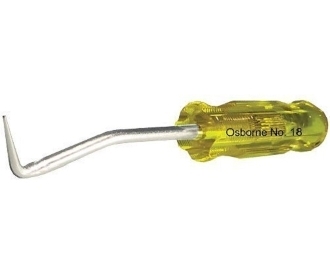 Use this tool on Cotter Keys, Shims, O-rings, small fuses and other small parts. Blades are made of high-carbon steel zinc-plated.